Following my recent uninspiring experience of Digoo BB-M2 and Veskys cameras, I had hopes that the new Wanscam HW0036 would be better, since it's part of the very good HW series. The sad reality is that Wanscam is just selling its branded version of the uninspiring "Netcam inc" camera that already sells under various names like Digoo BB-M2, Veskys, or Cam360. The front face design is probably just an older and less cost-effective conception with 3 screws holding the globe parts together, while the Digoo/Veskys design needs only 1. As a Netcam inc product, it comes with a flawed Onvif implementation (known issue for over 2 years now) that will make the port 10080 very unreliable. It also does not support audio through the RTSP channels, and so in turn, not to ONVIF. It only affects people who want to use this camera with their own NVR solution. The Wanscam firmware is slightly older (A70.68.1.16.53E/12.9.7.4-en) than its twins and the web interface lacks some options, like muting the annoying voice prompts when the camera starts, that competitors have in their newer firmware (A70.9.1.16.76E/12.9.7.5-en). 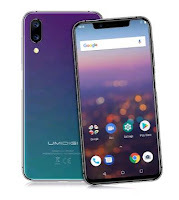 Wanscam promotes the use of its own camera app, e-View7, however it is also entirely compatible with Netcam360 / Digoocam (both are the same app), and I found this app slightly more complete, and convenient to use with my existing clones from Digoo and Veskys. The HW0036 comes with a unique ID beginning by XHA which has it's own setup category in e-View7 during the setup phase. 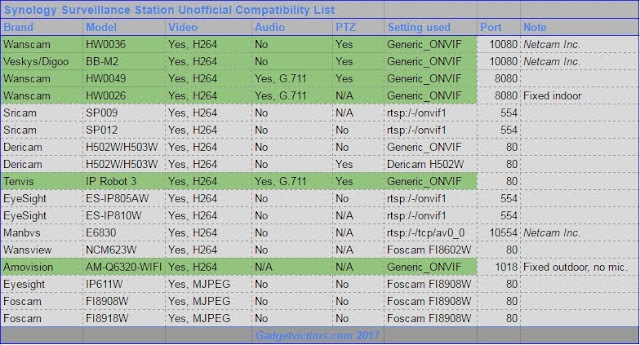 If you're looking for a model that is fully ONVIF compliant (like most of the HW series has been so far), check for the WXH (HW0041, HW0046, HW0049, HW0050, ....) or HWAA (older generation like HW0026) prefixes. This is sometimes specified on the product page under the P2P specifications. It is unfortunate that Wanscam included the HW0036 in the reputated HW series. The traditional Wanscam firmware that comes with models like HW0049 and HW0026 is clearly superior. For ~20€, it remains a good camera but exclusively for use with eView7 or Netcam360. For a full review, just read the Veskys and Digoo review. Although I have used the voice to indicate when/if the camera got connected successfully, I must admit that it was getting slightly annoying to listen to. So thank you for the mute thing. I do have a question regarding the HW0036. As you mentioned, e-View7 is somewhat the "standard" app for this camera. And while I've succeeded in using other apps, e-View7 seems to be the most "straight forward" solution. My problem is that no matter what I do, I can only view the stream @5 fps. When IR is activated, it can jump to 10fps. But nowhere near the 25-30fps, that the camera is marketed to do. I've used "EyeCloud" for PC, tinyCAM pro (android), and a couple more programs for PC - and all those (including the e-View7 app for android) locks the FPS @5/10 fps. Did u have encounter the same issue - and if so, do u know how to fix it? Atm I have 2x HW0036 cameras..and both of them seems to be limited to 5-10fps. ONVIF Device Manager (currently: v2.2.250). You can also change this from the http interface (port 81). It's on the right side of the main screen, just below the resolution. DO you have problems to record on ftp, or received notifications on email? please help me. I have a camera wanscam HW0036. After turning on the camera everything goes ok but after a few minutes, the camera is disconnected from the network. More is not connected to the network. I have to disconnect it from the power supply and reconnect. [ 0.515076] jz_mac jz_mac.0: MII Probe failed! what should i do? where it is broken? I have this camera too but from one day to other the camera doesn't work. You solved your problem? I want to debug mine too. I saw the 3 pin UART on mainboard but how can i use it to debug? I have to connect only the 3 pins (Gnd, TX and RX) to a Serial Port or i need the RX232/233 chipset to use it on a serial port? It seems too cheap maybe. I ordered another of this camera, and will dump the firmware so maybe you could flash and fix yours. Only debudgin using the serial no? But you have the wiring? [ 0.458466] jz_mac jz_mac.0: MII Probe failed! I connected the serial and send commands to the board but unfortunely i send the wrong firmware... so now i have to fix the bootloader because i don't have any response from serial port. You made any progress? If you got the firmware tell me please or if you know how to fix the boatloader..
Good news, i recovered the Camera. So, hands on Work and i used a old adapter made by me to connect the GPI ports from the RPI to a breadboard. On my breadboard i connect to my SPI Flash connected on the IP Camera Mainbord. I doesn't de-solder the SPI Flash, some people say to de-solder but i tried anyway. I lost some hours to trying to connect the RPI to the Flash because wiring problems... the breadboards are good to make this tests, but sometimes the connection is to loose or the wires doesn't make so good contact.. so after some hours i make all connections from the scratch and with all patience. After that, oh yeahh.. the RPI detects the SPI Flash and i could finally program a bin that i found in Internet to this Camera (IPcam25x64.bin). It takes around thirty minutes to Read, Erase, Program and Verify but at the end the camera boots up again. I disconnected the RPI connection and use again the Serial do see what happens but the camera doesn't fully work, only boots up and try to connect to Wifi but the motors doesn't rotate and nothing.. I have the same camera that was remotely hacked - they probably erased the filesystem - and now it does not give any sign of life. I've managed to dissasemble the camera completely but I cannot find the serial port on the mainboard; only some TPXX solder pins. 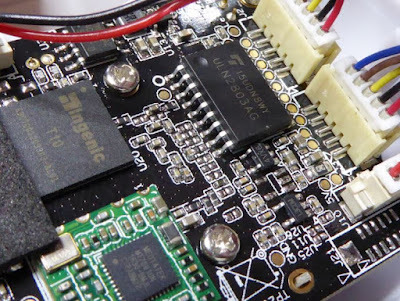 Do you have any picture of the mainboard showing where the serial port is and how to connect it in order to erase the SPI flash? I also have an RPi3 and a USBasp programmer. Yes, i took some pictures about my "adventure" with the wiring connection on Mainboard and also the connection with the Raspberry Pi. My idea is to make a Youtube video or a manual to help who have the same problem that i had, but unfortunately i really don't have to make a coordinated thing... so.. i send bellow a We Transfer link with the pictures. Your Serial connector is near the SD Card support, i don't remember the TPxxx, but you will see three wholes to make the wiring as can you see easily in the picture "DSC_0336.JPG" attached. Fortunately, my bootloader was intact so I flashed the generic Noboot.img image and the camera started working again. The only issue I have now is that I cannot log-on to the Web interface; tried many combinations (admin with no password, admin/admin, admin/12345 etc), nothing. I need to log-on to the camera in order to change it's ID on factory.ini. Do you know the default password of the Generic Noboot.img? Glad to hear that worked fine. My camera had the bootloader intact too, but unfortunately i erased all memory and sent a wrong firmware... my mistake. About the web interface i really don't remember, but if you use an Android/IOS App in your phone when you try to add new device normally use the login "admin/none" and then it prompts you to define a new password. You already made this? You already tried to reset the camera using the push button? What kind of help you need? We can discuss with all in this forum if you want. Sorry about my delay. As i said before, i used a Raspberry Pi 3 to program the Flash. To use in a Raspberry programmer you need the whole Flash, so you should use the ipcam25x64.bin. But in your case you have access to the camera using the Serial Interface or have any error? When i was searching about programming the Flash i had the same problem. I found a lot of schematics to use in a Parallel port (could be a solution to you if you have this possibility) but using Serial i only found one site with the schematic but it uses a PIC Microcontroller. I don't saved the site because the Hex file was unable to download and after i found the Raspberry Pi solution. You can try but i don't have so much faith on it. But my question remains... you can't connect the board to a RS232 serial interface to access the command line or you erased the flash as i have done? Reading better your comment i think that you are mixed the question. The 3 pins in the board that you can access using the RSR232 interface isn't to directly program the Flash, it's to access the Linux Command Line and if you abort the loading you can Send the new firmware to repair the camera. In your board side i don't remember all but looking for this three pins you should use the first one (Square) to connect the Ground of your RS232 board and the others two are the RX and TX to connect also with the board. You can try mix the wiring if doesn't appear nothing in your Serial interface program like Teraterm or Putty. You also should use the 115200 Baudrate on program. A correction. I used the RS233 interface. It doesn't require capacitors. If you was aware to my previous post i told you the ways to bring the camera back to like and i see a lot of doubts in your speech, so let me try to clarify. 1) First of all you will need some electronic skills to make this happen, either using the serial interface or program the flash. If you are able to straight forward so let's do it. If not it's better to ask from some help to a friend. 2) You will need to take some electronic components such a RS232 or 233 chips. You need to place it them on a breadboard and make some wiring connections as the schematics in my previous post. 3) With the RS232 or 233 correctly wired in a breadboard you will need to connect them to a Serial Interface port in a Computer. 4) Then, you can test the correct wiring making a shunt between the RX and TX ports in a RS232/233 and using a properly software in a computer to access the Serial Interface. 5) After this confirmation you can connect 3 wires from the breadboard (TX, RX and Gnd) to the IP Camera board. The connection should be made in the three holes that i show in the pictures from my previous post. 6) With this all connection made you should be able to see the Linux boot log and abort the boot loader process to flash the camera using the Kermit protocol with you .bin file using specific commands from the serial interface software. But when you arrive in this step i could gave you the correct commands and sequence to make the camera works again, but firstly you will need to make the previous steps. I hope could be clear my post. I uploaded again using WeTransfer. I hope it helps you to fix the camera. Hi! It's maybe an offtopic, but I am trying to configure this camera through their client software for PC and I cannot set different login and password, so in my case it's always password123:password123 or admin:admin, etc. Also, I didn't manage to save mail settings, it just doesn't save them at all. I see that you are accessing settings on 81 port, which works for me too. Is there a full list of urls that can be used for configuration? Can I make changes by accessing that own camera web server? Hi i have tried typing http://192.168.x.x:81/door_bell_set_language.cgi?next_url=voice.htm&loginuse=admin&loginpas=password&language=0 onto my browser while the HW0026 camera is connected. But it says page not found. How do i mute the voice startup? Did you replace .x.x by the actual IP address? Did you try plugging them to another USB power source? like a power bank? Only a very wrong/unstable power source would fry them (they use 5V2A like most IP cameras). Maybe the power adaptor is faulty? Do not hesitate to open one and see if anything looks (or smell) toasted inside. The 3 units I have (Wanscam+Digoo+Veskys) all worked 24/7 for months and no failure so far. I have the same problem. After some hours mine is also dead. I ordered it from Gearbest. Mine worked during 90days and died. The image started to ficking and when i reboot the power never worked again. Isn't the power supply so... i don't have any clue do fix it. And was bought on Gearbest to.. Yes, as said in my posts. I use the serial interface to send a new firmware to the camera. If you need some help begin to read my post on Oct,28 2017, 1:02:00AM and if you have doubt please tell me. Yes you can if you already has the bootloader in the flash. If not you need to program first the flash memory and then you can use the serial interface (ftdi is a USB to Serial interface converter). thank you for reply, I have some questions, 1. when you say "flash" do you mean a chip? 2.how can I know that the flash has the bootloader? sorry I am a noob,( I have used the ftdi to install firmware to devices for Drones following tutorials ) what software is used with the RPI and for ftdi? this is interesting to learn. 1) Yes the flash is the chip. With the code W25Q64 i think. 2) Using the serial port to make debug. 3) To access the serial interface and send the firmware to the flash any simple serial interface program is enough, like putty, but i used "Teraterm 4.95". If you can't access the flash using the serial interface you should program the chip flash directly using the raspberry or any other programmer. Your problem was the Noboot file. Like the name says, the firmware as no bootloader, so the camera doesn't boot. Dear friend, thank you so much for your help , one of my cameras is working now , i have accessed to the web interface and installed the original firmware and i put a better password. My mistake when i bought the cameras is that i forgot to change the default password "admin-admin" so i guess it was too easy to hack it and damage the firmware :(. To your other camera, to be honest i don't have to much time, and now the camera is in use, so it's hard to take new pictures or make a video. The diagram that i sent you should be enough. Some schematics resistances to protect the chip from current peaks, but normally the people connect straight forward without any protection.. Sometimes doesn't make any difference. In my case, at the beginning i started to use resistances, but i was lost maybe 4-5hours to get successful connection because my breadboard was damaged... and the wiring was not perfect, so at some point i didn't used resistances and the final result, as you can see at the pictures, i don't have any resistance and the camera works fine. 2) Connect this 8 wires to correspondent raspberry ports. 2 of this wires should be connected to VCC and other 2 to the ground. sudo echo "spi-bcm2835" >> "/etc/modules"
Dear friend, thank you for your time, I will try to fix my other camera,the diagrams and pictures you sent me are enough, :) but at least one of the camera is working and this is good for me because I had no idea how could i fix it, I was going to throw it away but I am happy that I could make it work again, thanks to your info. I need to find out how to make a debug to the packets that pass through my router, and do the same like you. do you have more IP cameras? if Yes, does this happen in others cameras? I have three different models wanscam cameras and no problem yet. I need to have access to the cameras from my phone when I am not home. 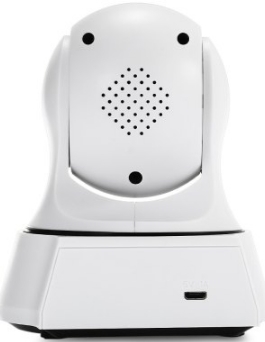 When this camera was broken, i got another different one from my job the Trust Smart IPCAM-2000, it's a simple model that doesn't rotate, only speaker and micro. The main difference is that you couldn't access the web browser, is a login protected that Trust doesn't share to the users .. (i tried without successful). So, with this camera the IP should fixed on the router and not in the camera, for me it's a shame this behaviour but okay.. The "trash packets" are to similar, it generates a lot of traffic in your network, so i blocked all traffic too in my router like the other one, except the NTP server. I think all this cameras have the same linux strategy, but this one it's a closed system, you only can access using the Trust app, not like the others, but at the end works in a same mode. Dear friend,finally i could fix my second camera :) ,i read about access to the camera remotly using ddns and opening an port to the router to access to the camera online, do you know if this way is more secure than access to the camera via p2p protocol with the wanscam app? Accessing the camera remotely using VPN is the better option. J'ai également acheté 2 caméras sur des sites différents et les deux se sont plantées au même endroit : dans le paramétrage des alarmes par mails, au moment d'appuyer sur le bouton "test". les caméras se sont déconnectées et impossible de communiquer. J'ai attendu qu'un des sites me fasse un avoir pour en ouvrir une, à quel endroit faut il se connecter afin d'établir une liaison série? Bonjour, il y a habituellement une serie de 4 bornes en ligne (ou 4 trous) sur la carte mere, dans le meme genre que ce qui est illustre dans cet ancien article. La methode reste essentiellement la meme aussi. Le plus difficile est d'obtenir le firmware. Il ne faut pas hesiter a solliciter Wanscam (en pretendant avoir acheté leur modele) ET Digoo (en pretendant avoir acheté ...) car leur firmware est exactement le meme, du moment que l'un d'eux accepte d'envoyer le fichier. Bonne chance. Hi, Thanks for your solution to avoid voice prompt! Worked for me! May you suggest any software (like e-view7) working outside home network? E-view7 not working on my phone with android 5.0 (THL t100s)? First of all thank you for your great plans and your forum. Jeedom, tinycam, chrome and imperihome however for about 1 month they do not broadcast any image after a few hours of ignition and even after a report and a tank settings, the only way for me to see the flow is to use E-view7. I have a freebox revolution and my cameras have been working perfectly for over a year.